Hi everyone! 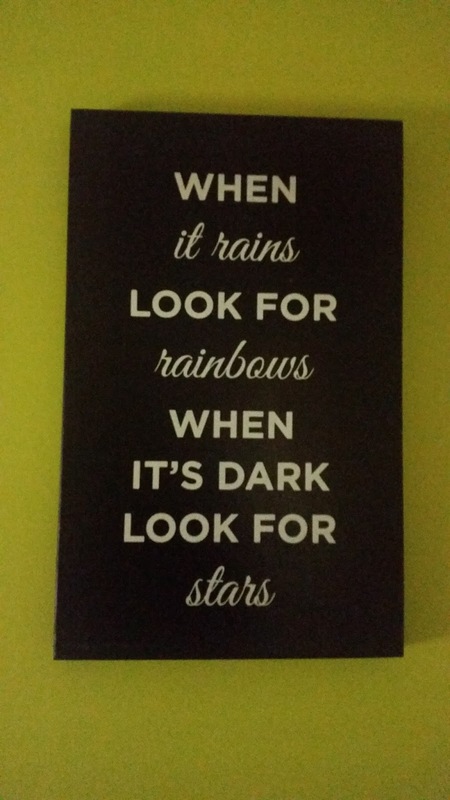 I can't believe we're already one month down into the new year, I hope you've all had a fabulous start to 2016. For me it's been good so far and I'm looking forward to seeing how the next 11 months will turn out. I must say, 2015 made me experience the highest of highs and the lowest of lows but through it all it taught me so many life lessons and now I can move forward and become a stronger person. Hoping that 2016 will be my year, fingers crossed. 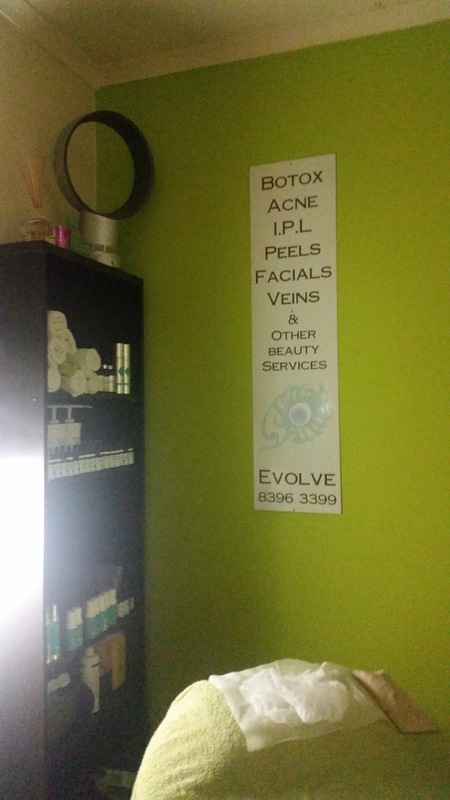 Towards the end of 2015, I received an email from Milly on behalf of Evolve Skin Rejuvenation Clinic about a lovely opportunity where I was offered 3 facial treatments customised to cater to my skin type to improve its health and overall appearance. Prior to receiving this email, I hadn't heard of Evolve Skin Rejuvenation Clinic and little did I know that it was within short travelling distance from my house which made it very convenient. 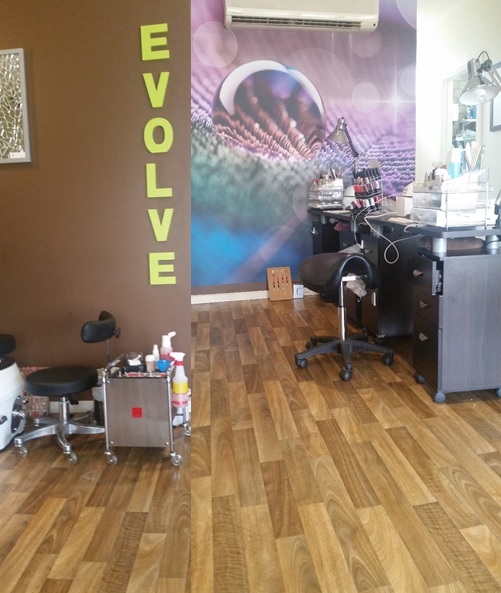 I had never had any facial treatments done before as I had always been worried about experiencing an adverse reaction due to my very sensitive skin but after being reassured by Evolve's Managing Director Wendii that I'd be in safe hands and my skin would not be compromised, I no longer felt unsure about going along with the treatments. 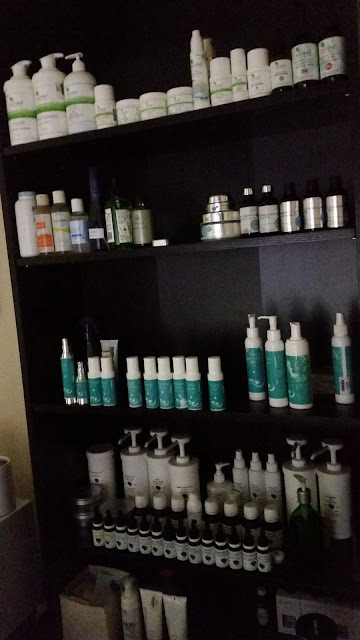 I decided to take up this opportunity and I ended up having 3 facial treatments and 1 consultation in between. This post is going to be a recount of my treatments where I'll be sharing my thoughts and feedback. As I stepped in I was warmly greeted by beauty therapist Niki who was going to be doing my facial treatment that day. Before having my facial treatment, I filled out some paper work addressing my skin concerns and listed any health or medical issues and my lifestyle factors. This was the best way for the therapists to understand which skin rejuvenation treatment would be most suitable for each client. While filling in these papers, I was offered some herbal tea which I found to be quite nice and soothing. 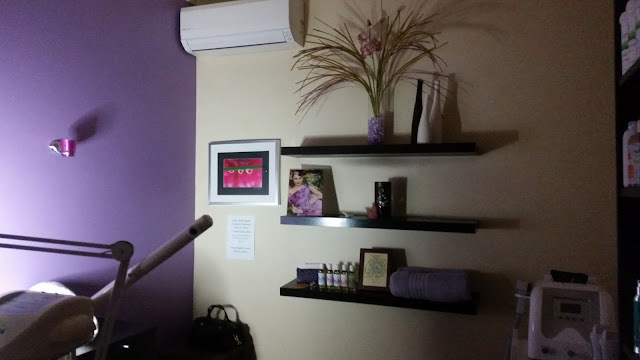 The treatment room I was in - very purple! 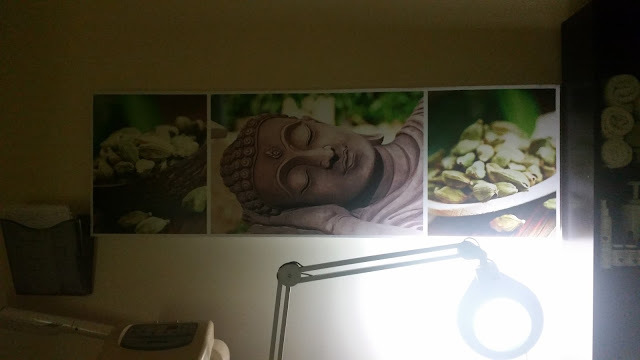 This first session went for about 60 minutes and it was for sure, one of the most relaxing experiences I've ever had. I told Niki that it was my first time having a facial treatment done and she told me that they do get quite addictive and after this first session I can certainly see why! 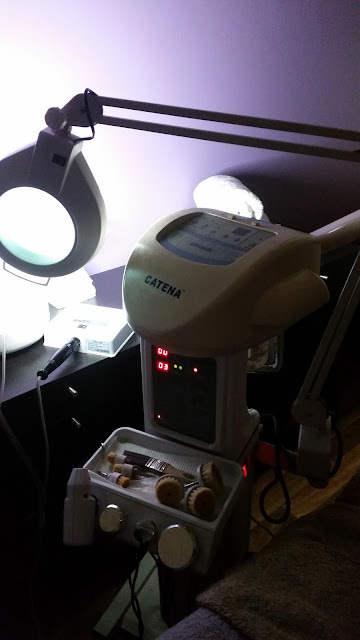 To lay down with your eyes closed and have a trained professional gently cleanse your face felt amazing and after this treatment I couldn't wait to come back in for my next in two week's time. During the Christmas and New Year period I noticed that my skin was experiencing a few breakouts and my skin rarely experiences any breakouts, including that time of the month where I may only get one max. I hadn't changed anything about my diet (at least not prior to the Christmas family feast) or used any new products on my face. I had a few spots on my forehead and a couple on my cheeks that had me feeling rather concerned and apprehensive about this treatment and its suitability to my skin. 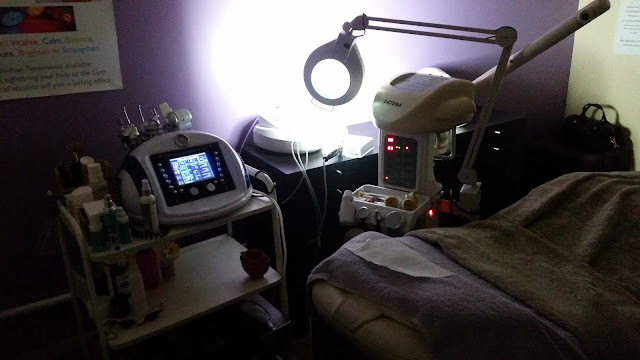 I had a consultation with Meagan who is a very trained therapist and would be able to assess my skin and perform IPL/LED treatments to clear the breakouts. After assessing my skin, it appeared that IPL/LED treatments were not necessary and that my skin was experiencing these breakouts from my skin going through a cleansing and elimination process. 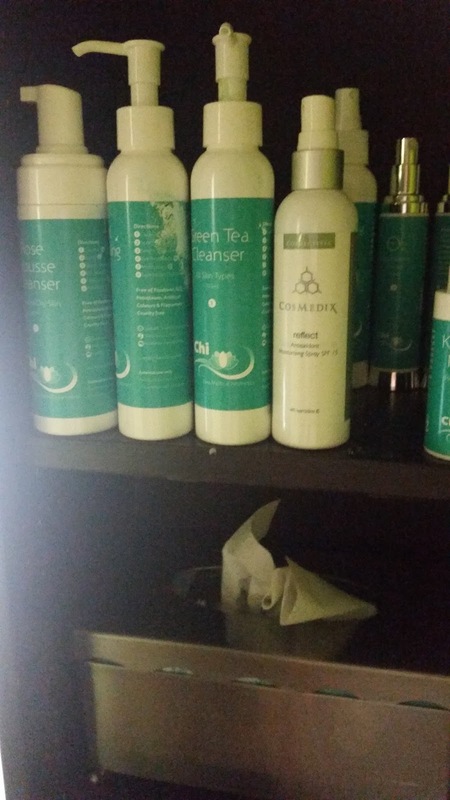 Meagan provided me with a sample of green tea to apply on the breakouts and to protect them from scarring. My skin was looking much better for my second treatment as my breakouts had cleared up and my skin felt much more hydrated after the first treatment and also from using the Chi B3 Barrier Repair Serum which was provided to me after my first treatment. I use this serum daily underneath my moisturiser and despite it being clear and non-thick/greasy, some may find it to be a little heavy however my skin absolutely loves it and completely soaks it up which is great! Definitely helps to hydrate my skin by providing a barrier protection to reduce water loss. Meagan took care of me for my second treatment and despite the breakouts from my first treatment, the Enzyme Boost treatment was still the best choice for me. My skin just needed to get used to the treatment process as it wasn't any of the products that caused any irritations to my skin, thankfully. I go by the 'less is more' saying when it comes to caring for my skin and selecting which products to use. Sorry if that light is super blinding, sorry! Once again I left the clinic feeling fresh and rejuvenated and I could tell that my skin loved it. I had just one more session to go and I was looking forward to having that same feeling again. For my final treatment I was looked after by Niki which was great as she was able to assess my skin again and see how much had changed since the first treatment. 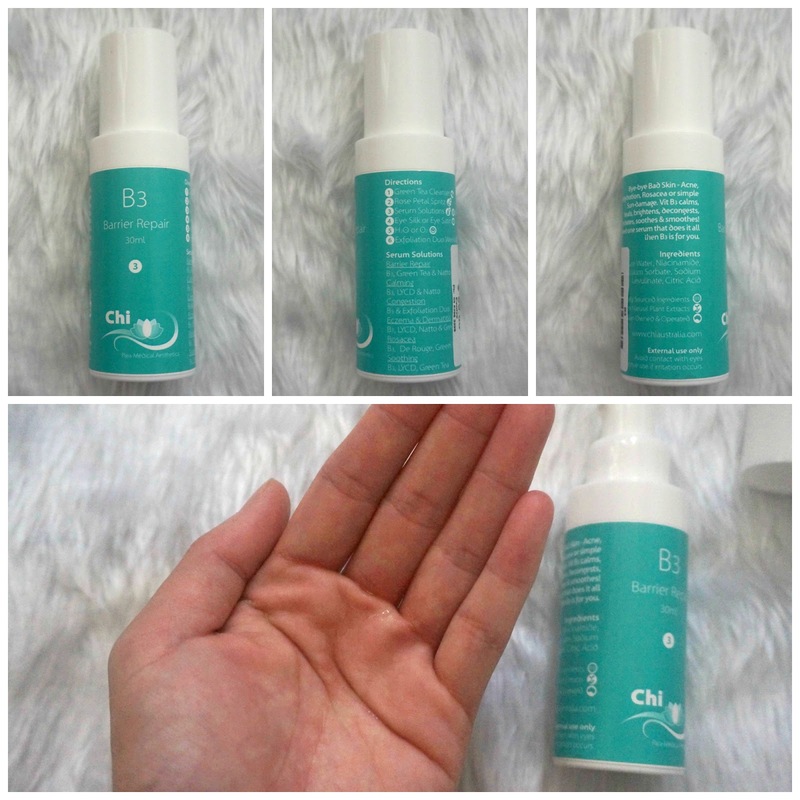 She told me that my skin had improved in hydration which was extremely pleasant to hear, knowing that the treatments were working for me in conjunction with using the B3 serum daily. I will briefly run through the procedures from this treatment which were the same as the previous two and seeing as I didn't note anything down, I'm going to give a shoutout to Susan from Fashion Adventurer who has also blogged about her experience at Evolve and she's managed to list out her procedure which sounds very similar to mine. Thanks Susan! 1. Niki cleansed my face with the Chi Rose Oil Cleansing Mousse, containing calming and nourishing properties rose. I love mousse cleansers, they always feel gentle on my skin. 2. For my first treatment, I remember Niki used the Chi Rose Petal Spritz but I don't remember this being used in my third treatment. 3. My second treatment with Meagan involved a sheet mask where a steamer was used while the mask was on. 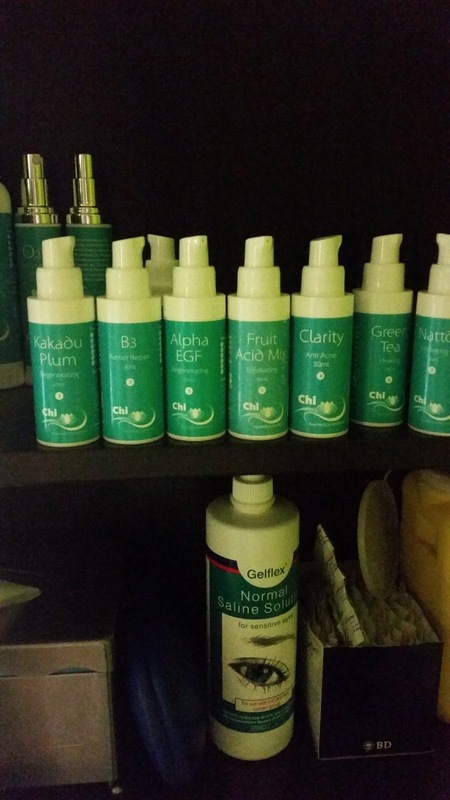 My treatments with Niki involved the application of the Chi Bio Enzyme Peel as a smooth paste. This was left on for 5-10 minutes and acted as an exfoliant during the removal process. 4. The exfoliant was removed using an electronic brush similar to that of a Clarisonic to get rid of the dead skin cells on the surface. 5. The steamer was used again to moisten my face after the mask and a hot towel was used to remove the debris from the exfoliant. This felt so lovely, especially when the hot towel was placed over my face and decolletage. 6. It was either the Chi H2O Hydrating Cream or the Chi O2 Revitalising Face Cream that was used as a moisturiser, followed by the Cosmedix Reflect Natural Sunscreen applied onto the face. I was informed to not wash my face after this treatment as it was best to leave everything to be absorbed into my skin overnight however I wasn't able to leave it on overnight as I always feel more comfortable going to bed with a fresh face. Just like how I can't go to bed with a face full of makeup, that's a big no-no! 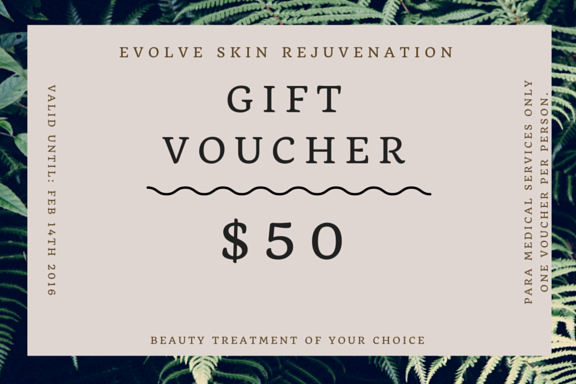 I have a $50 off voucher for anyone who is interested in having a beauty treatment at Evolve - a perfect treat for or before Valentine's Day! You can simply download this voucher, print it out and take it with you to your appointment. Also there's a chance to win a $200 Pamper Pack if you leave a review for Evolve Clinic on Google Reviews before February 14th. Have you had any facial treatments done before? I'm curious to hear about your experiences, good or bad and the results! Disclaimer: Services were provided for consideration purposes. This is not a sponsored post, nor am I affiliated with any of the companies mentioned above. Links are not affiliate links. All opinions are stated by me and are 100% honest, free from bias. See more at http://www.questjen.com/p/disclaimer.html for full disclaimer.